Lab Coat Challenges: Challenge #1 is Up! 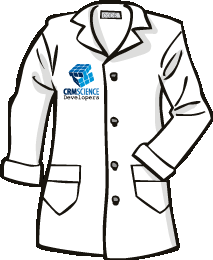 Introducing the CRM Science Lab Coat Challenges! Challenge #1 is all about working with collections and doing so as efficiently as possible. The gist is you have a few strings, few lists of strings, few sets of strings, and it's up to you to merge them all down into a single list of strings, using as little code as possible. Up to the challenge? Get the full details here!